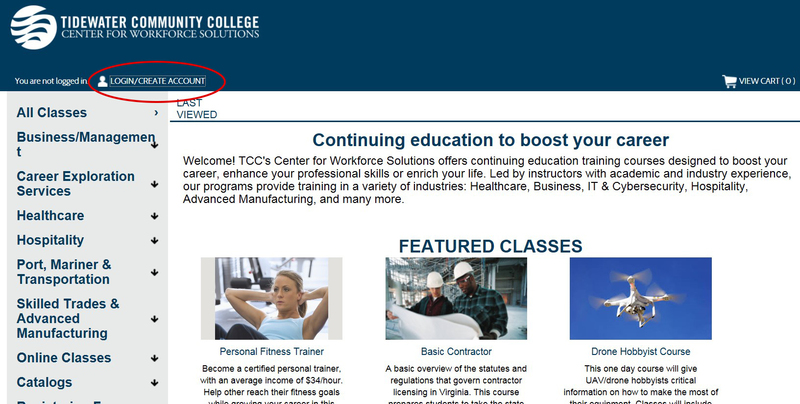 Welcome to the new TCC course registration system for non-credit classes. In this system you will be able to enroll in classes of choice AND pay for them on-line 24/7. 1. 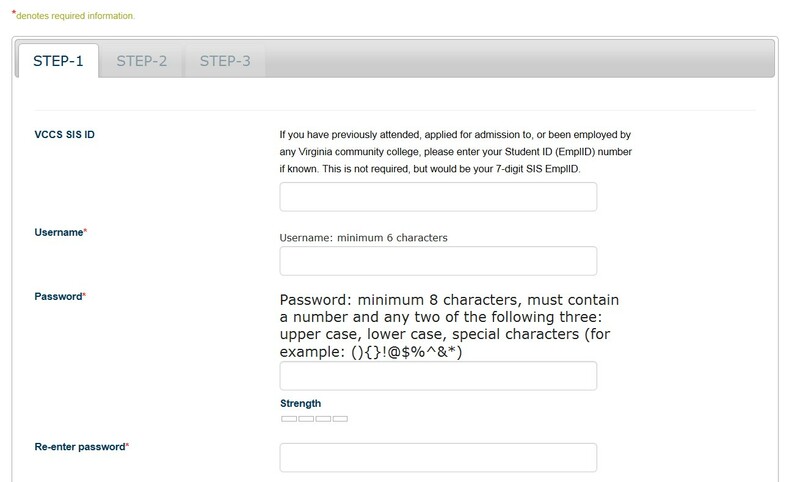 Go to tcc.augusoft.net and click "sign in"
2. Click "Create New Profile"
3. You will come to the "Create New Student Profile" page. You need to create a profile BEFORE you can register for any classes. Below are the data entry sections you will go through along with some notes to guide you. VCCS SIS ID: You do NOT need to know your VCCS Student ID. If you know, you can enter it, but it is not required. Social Security Number: This field is NOT required. Now that you have completed enrolling as a first time user, you're ready to choose your classes! 1. 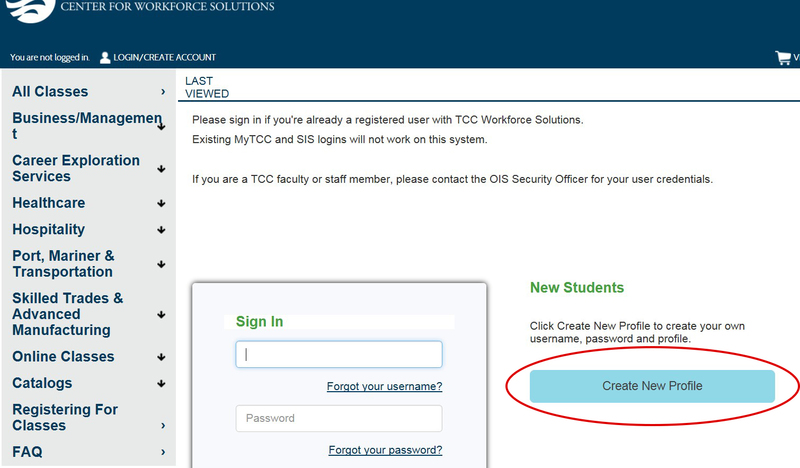 Go to http://tcc.augusoft.net and click "sign-in" and sign in using your new Username and Password. If you are already signed in, simply click on the left menu bar to search classes. 3. 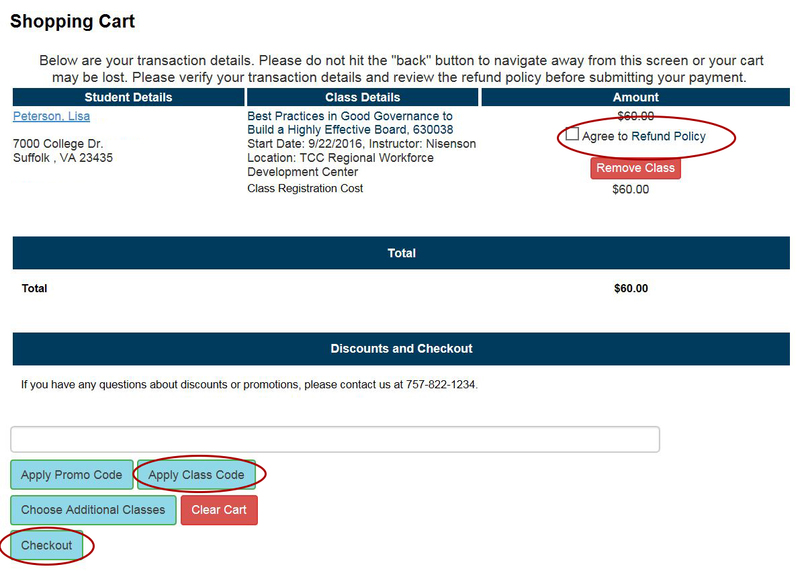 When you have finished adding all classes, click on "View Cart"
5. Review the Refund Policy and check the "Agree" box when finished. Then click the "Checkout" button. 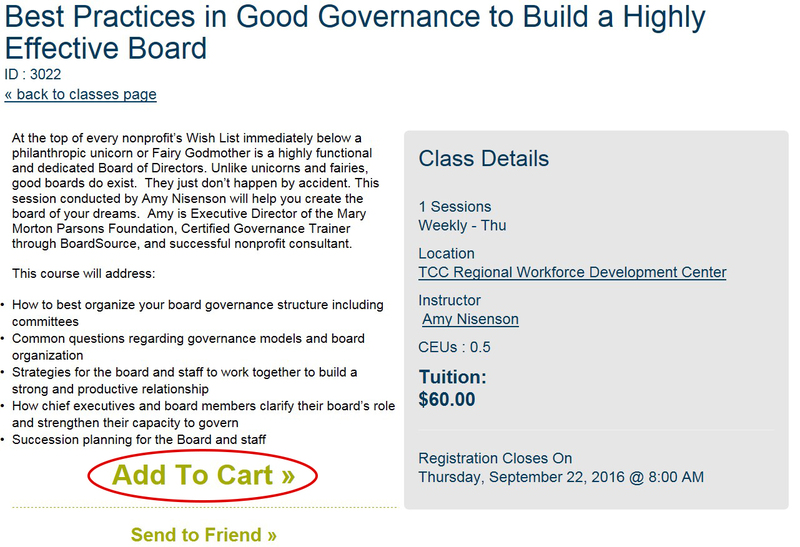 If you have a discount code, type it into the blank field, and then click "Apply Class Code"
6. The Checkout page will appear. Enter the Amount to Pay and Select your Payment Method. The "Amount Pay" must equal the "Amount Due". Then click on "Continue"
7. Complete the Payment information and click "Continue". If all information is correct on the next screen, click "Confirm" and Print your Receipt. You will also receive a confirmation email and an e-mail receipt.